Lunch and coffee are included for the day. This seminar will teach you new ways to build higher quality products in half the time. Sure, you can put in more hours. Be a hero. But working harder is not a sus-tainable way to meet schedules. We’ll show you how to plug productivity leaks. How to manage creeping featurism. And ways to balance the conflict-ing forces of schedules, quality and functionality. Firmware is the most expensive thing in the universe, yet we do little to con-trol its costs. Most teams deliver late, take the heat for missing the deadline, and start the next project having learned nothing from the last. Strangely, experience correlates poorly with fast development. We’ll give you the infor-mation you need to build code more efficiently, gleaned from thousands of embedded projects around the world. New code generally has 50 to 100 bugs per thousand lines. Traditional debugging is the slowest way to find bugs. We’ll teach you better techniques proven to be up to 20 times more efficient. You will learn about simple tools that find the nightmarish real-time problems unique to embedded systems. Though capricious schedules assigned without regard for the workload are common, even developers who make an honest effort usually fail. We’ll show you how to decompose a product into schedulable units, and how to use killer techniques like Wideband Delphi to create more accurate estimates. Spend a day with Jack Ganssle, well-known author of the most popular books on embedded systems, technical editor of Embedded.com, and designer of over 100 embedded products. You’ll learn new ways to produce projects fast without sacrificing quality. This seminar is the only training event that shows you practical solutions that you can implement immediately. We’ll cover technical issues – like how to write embedded drivers and isolate performance problems – as well as practical process ideas, including how to manage your people and projects. Contact us to learn how we can award each of the attendees 0.7 Continuing Education Units. 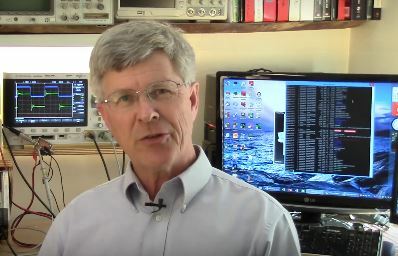 Jack Ganssle has written over 1000 articles in Embedded Systems Design, EDN, and other magazines. His books, The Art of Programming Embedded Systems, The Art of Developing Embedded Systems, The Embedded Systems Dictionary, The Firmware Handbook, and Embedded Systems, World Class Designs are the industry’s standard reference works. Jack lectures internationally. He founded three electronics companies, including one of the largest embedded tool providers. His extensive product development experience forged his unique approach to building better firmware faster. Jack has helped over 700 companies and thousands of developers improve their firmware and consistently deliver better products on-time and on-budget. Code reuse—a myth? How can you benefit? Manage features . . . Or miss the schedule! Five design schemes for faster development. Negotiate realistic deadlines . . . Or deliver late. Scheduling—the science versus the art. Overcoming the biggest productivity busters. 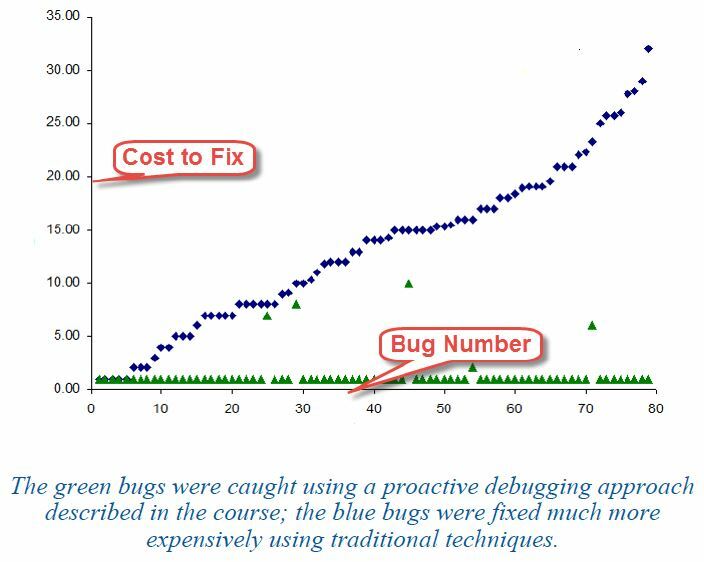 How to use proactive debugging to find bugs fast. Managing bugs to get good code fast. Quick code inspections that keep the schedule on-track. Cool ways to find hardware/software glitches. Troubleshooting and eliminating erratic crashes. How fast signals cause firmware grief. Embedded disasters, and what we must learn. Using postmortems to accelerate product delivery. Seven step plan to firmware success. Frustrated with schedule slippages? Bugs driving you batty? Product quality sub-par? We’ll teach you how to get your products to market faster with fewer defects. Our recommendations are practical, useful today, and tightly focused on embedded system development. Don’t expect to hear another clever but ultimately discarded software methodology. You’ll also take home a 150-page handbook with algorithms, ideas and solutions to common embedded problems. Intel, HP, ST Microsystems, TI, Atmel, Sony-Ericsson, Northup Grumman, Dell, Altera, TRW, NSA, Bayer, Seagate, Whirlpool, Cutler Hammer, Symbol, Visteon, Honeywell, GE, Kodak, Western Digital, Teledyne, Bosch, Ball Aerospace. … doubling the size of the code results in much more than twice the work? In this seminar you’ll learn ways unique to embedded systems to partition your firmware to keep schedules from skyrocketing out of control. … you can reduce bugs by an order of magnitude before starting debugging? Most firmware starts off with a 5-10% error rate – 500 or more bugs in a little 10k LOC program. Imagine the schedule impact finding all of those! Learn straightforward solutions that don’t require revolutionizing the engineering department. … you can create a predictable real-time design? This class will show you how to measure the system’s performance, manage reentrancy, and implement ISRs with the least amount of pain. You’ll even study real timing data for common C constructs on various CPUs. … a 20% reduction in processor loading slashes development time? Learn to keep loading low while simpli-fying overall system design. … reuse is usually a waste of time? Most companies fail miserably at it. Though promoted as the solution to the software crisis, real reuse is much tougher than advertised. You’ll learn the ingredients of successful reuse. What are you doing to upgrade your skills? What are you doing to help your engineers succeed? Do you consistently produce quality firmware on schedule? If not . . . what are you doing about it?